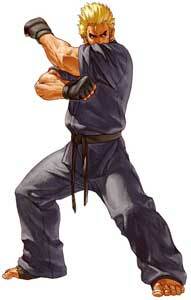 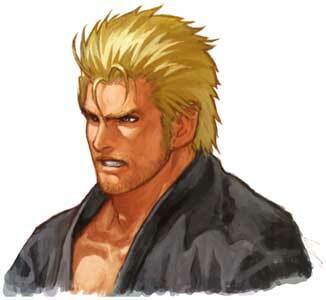 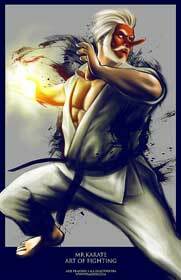 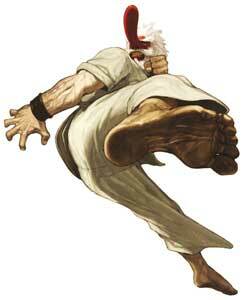 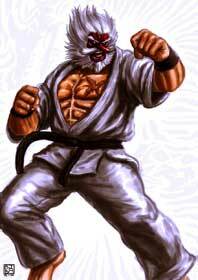 Mr. Karate is the alias of and alter ego of both Takuma Sakazaki and his son Ryo Sakazaki in later games. 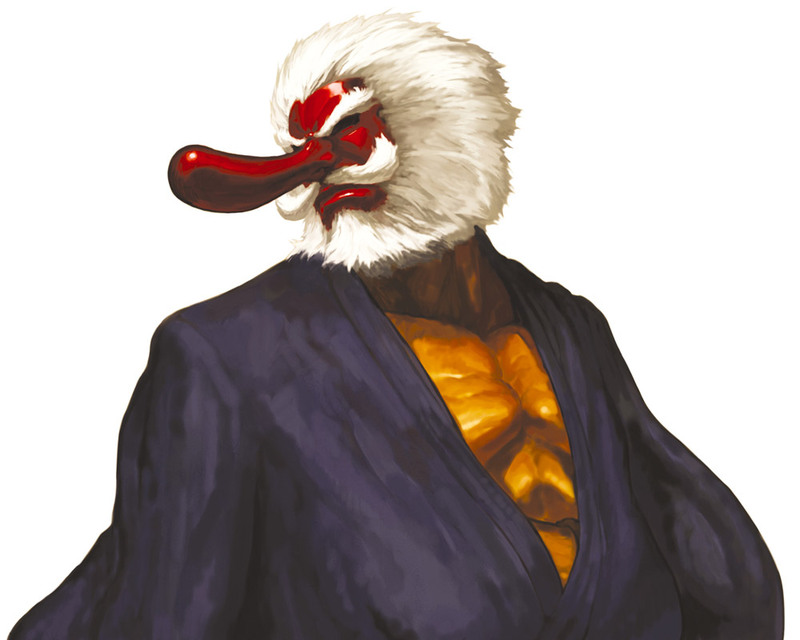 Takuma wears a Tengu Mask to hide his true identity when he was once forced to work for the corrupt policeman and later crime lord Geese Howard during the events of the first Art of Fighting (1992) where he is the final boss of the game. 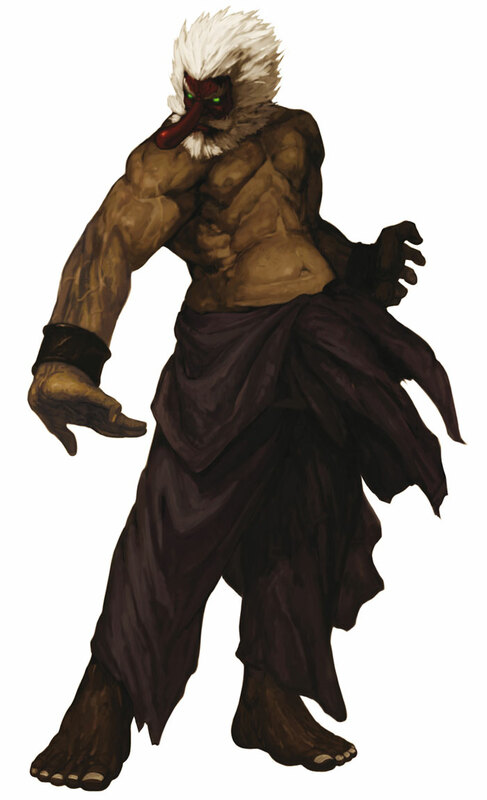 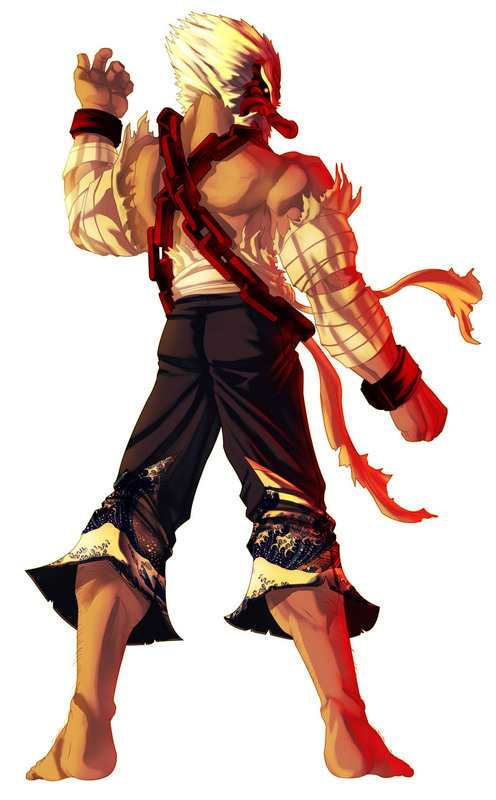 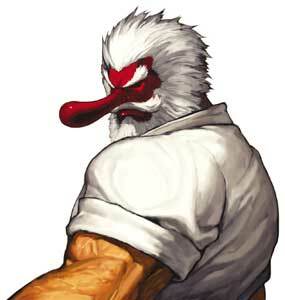 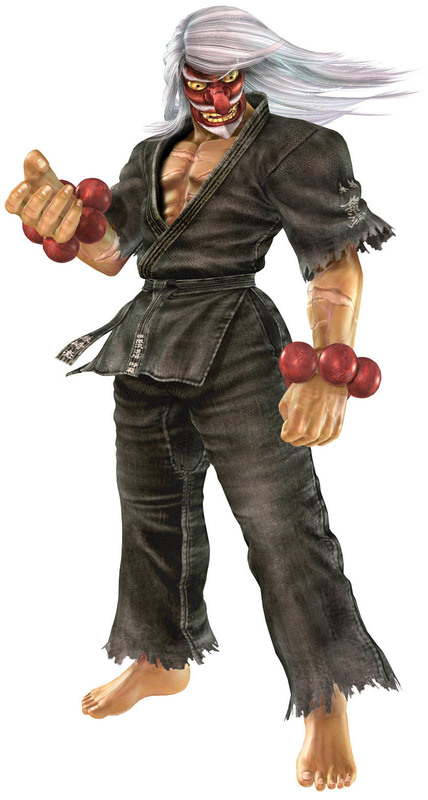 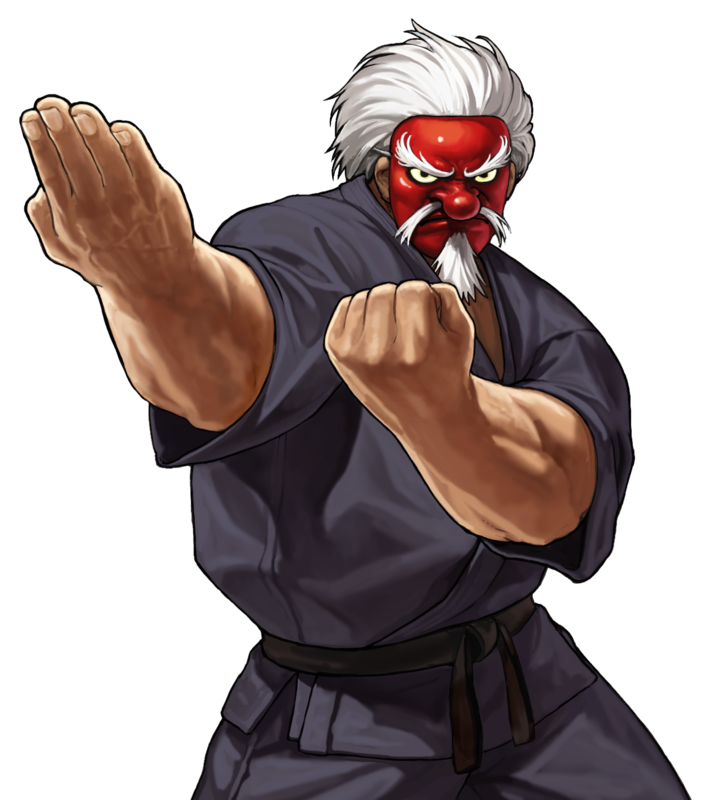 Takuma returned using that alias and the Tengu mask in a couple later games like the crossover fighting game SVC Chaos: SNK vs. Capcom (2003), in The King of Fighters XIII (2010) Mr. Karate became a DLC character for the console versions. 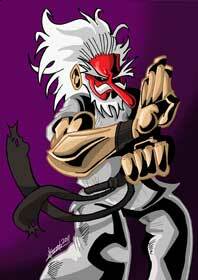 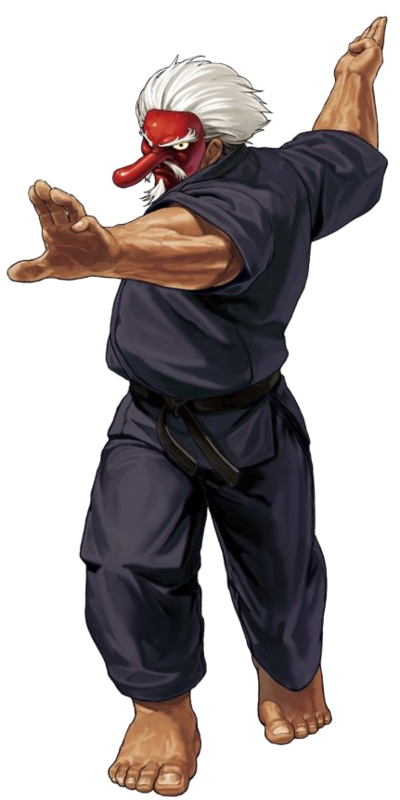 In SVC Chaos: SNK vs. Capcom, SNK introduced a slightly different version of him called Serious Mr. Karate (Honki ni Natta Mr. Karate) that is one of the two final boss characters in the game. 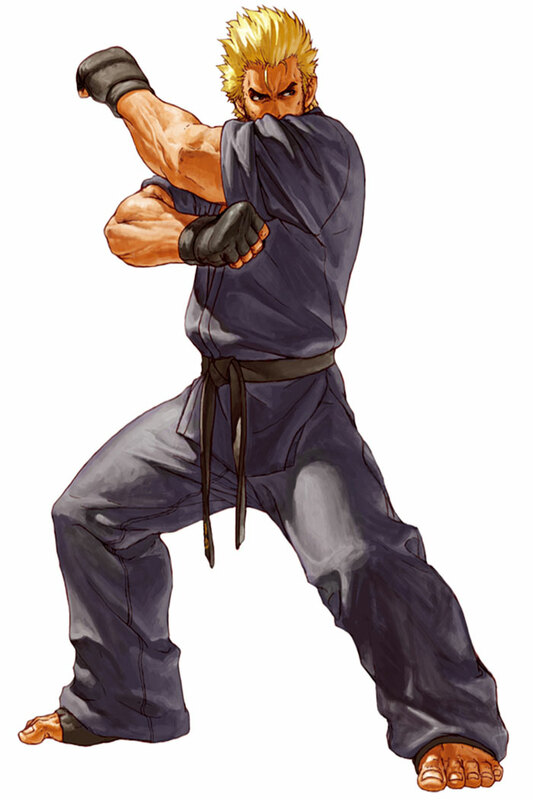 Ryo Sazuki, Takuma’s son is also using the Mr. Karate alias sometimes and is sometimes referred to as Mr. Karate II. 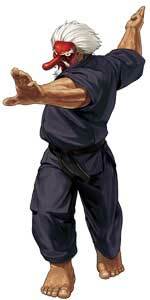 Their movesets are similar but not identical. 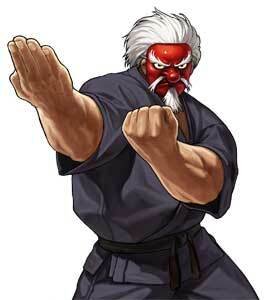 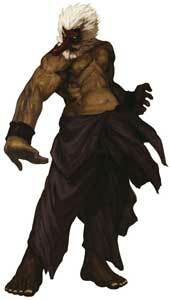 Ryo is known as Mr Karate even without using the Tengu Mask sometimes. 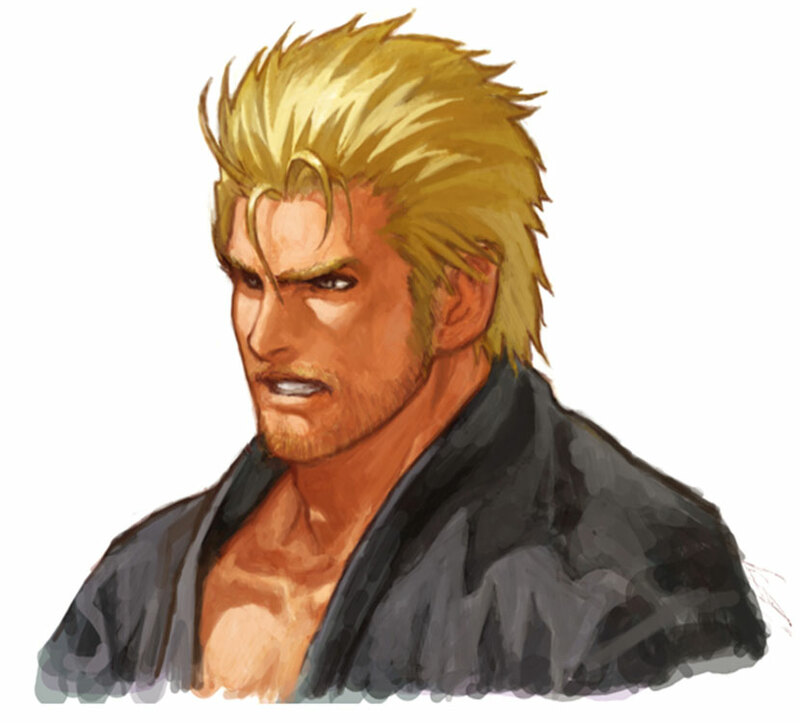 He debuted as Mr. Karate in Buriki One and Fatal Fury: Wild Ambition that were both released in 1999 and featured Ryo as a guest character.